Gusto Mediterraneo is a registered trademark created by the company By Tourist, Publishing and Communications, specializing in the fields of marine, tourism, gastronomy and sport. 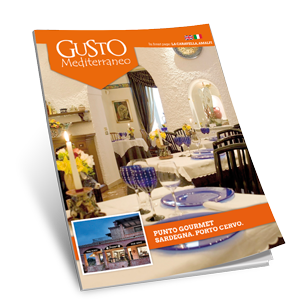 Gusto Mediterranean was established with the aim of promoting the world of food in terms of tourism, from sea to land, with the typical large and small municipalities, with the flavors of the products highlighted by the expert hands of chefs reviewed by the “Espresso, of Michelin-starred restaurants, taverns and inns with snails Slow Food. And yet to tell beverages and processed in a traditional way, preserving traditions and tastes of the individual territories, managing to bring out the unique characteristics of individual products. Our trips depart from Campania, to sweep across the South Italy. We travel by sea, including fishing boats, luxury boats, hydrofoils and HSC. Arrived in the various ports, begin your search for perfumes and recipes from GUSTO MEDITERRANEAN.